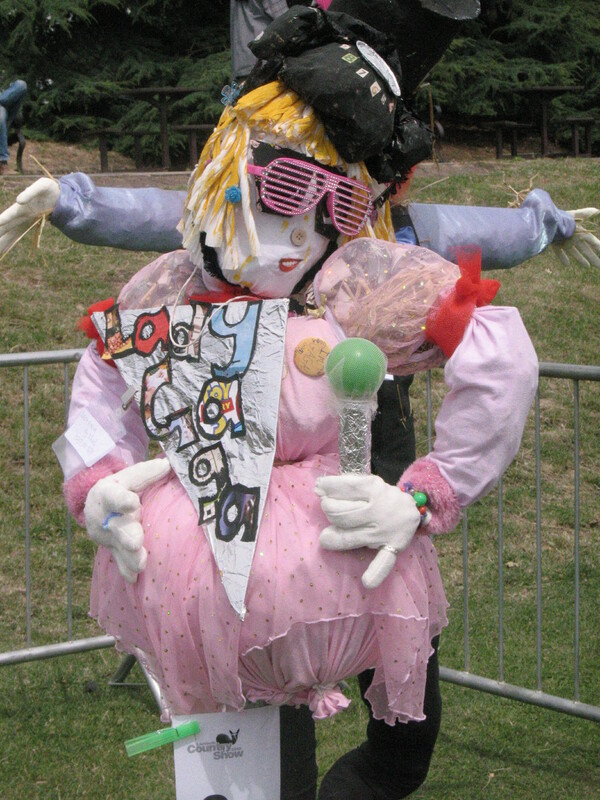 My eager anticipation of the annual Lambeth Country Show in Brockwell Park is frankly ridiculous. But there is something about this festival, combining sheep shearing and donkey rides with jerk chicken and reggae, that really works for me. It is great fun and slightly surreal. 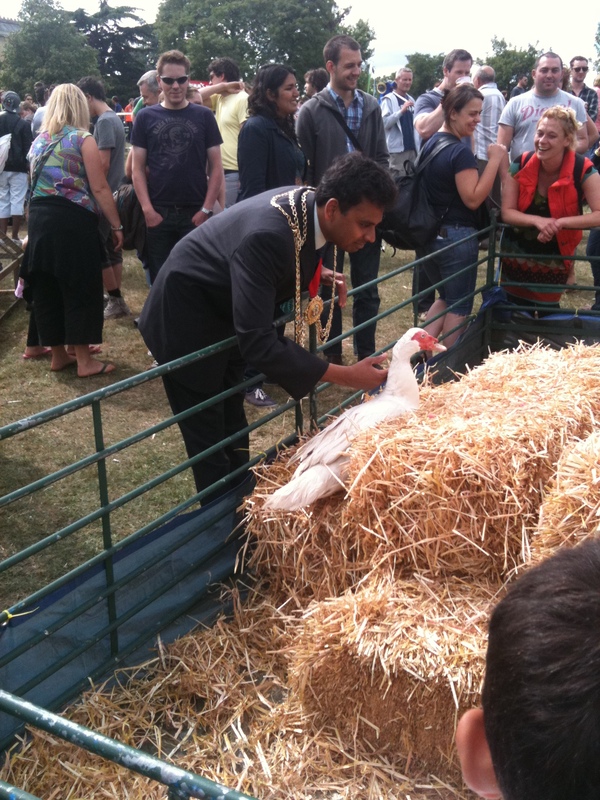 Where else this weekend, for instance, could you have seen the Mayor of Lambeth stroking a duck? For many people, the best thing about the festival appears to be the lethal Chucklehead Cider, which comes in four pint jugs and, judging by Twitter, will be responsible for several thousand hangovers in South London this weekend. But I disagree. 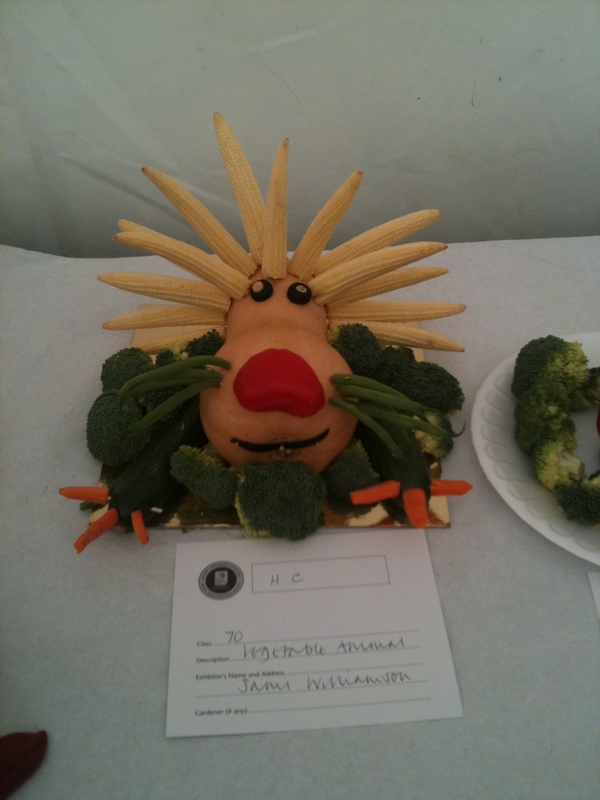 For me, the annual highlight is the vegetable sculpting competition in which some of the region’s finest artists demonstrate considerable imagination and skill by carving cauliflowers and potatoes so they look like animals. This competition is fiercely fought. 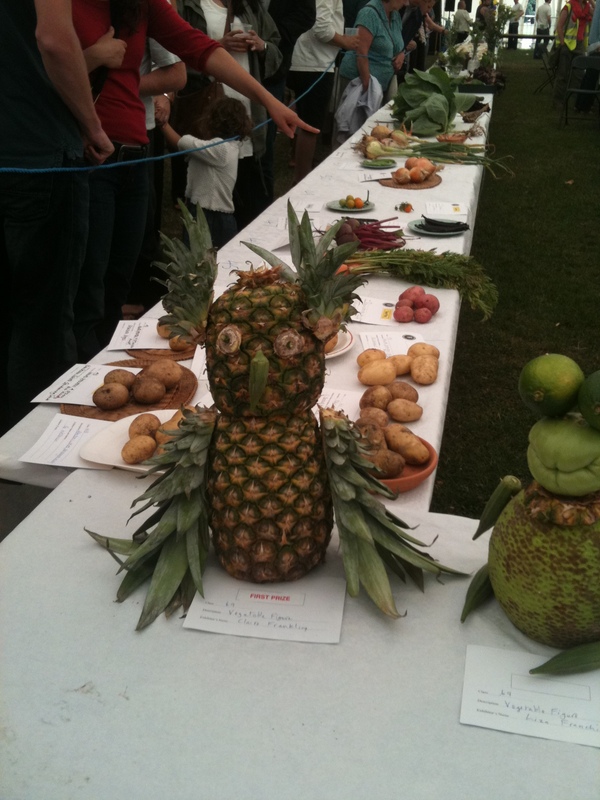 This year’s winner was a pineapple owl, and as ever, its suitability was hotly contested. Work of art, or waste of a pineapple? Opinion was divided. Others prefered the baby sweetcorn and butternut squash lion. 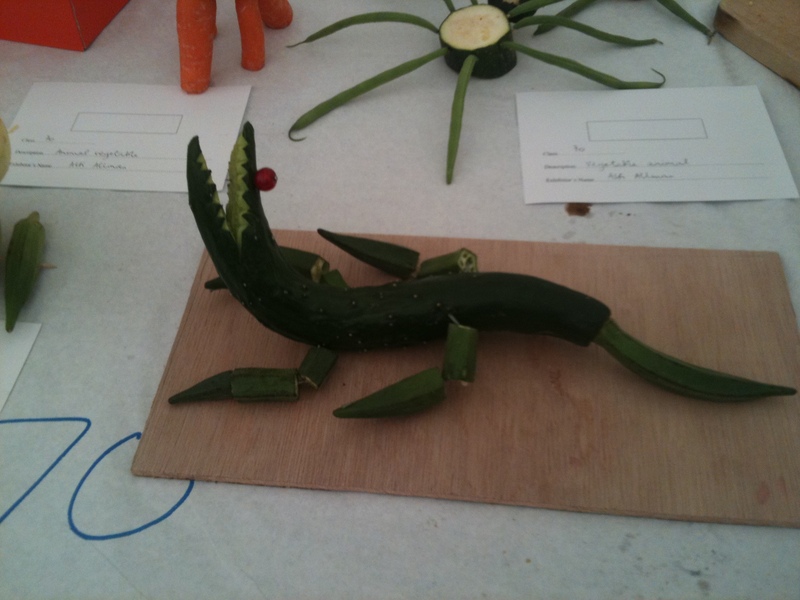 Then there was this simple yet gorgeous art deco courgette crocodile. While the carrot and potato python drew some admiring glances. Congratulation to all who took part. The real winner, I’m sure we will agree, is art itself. 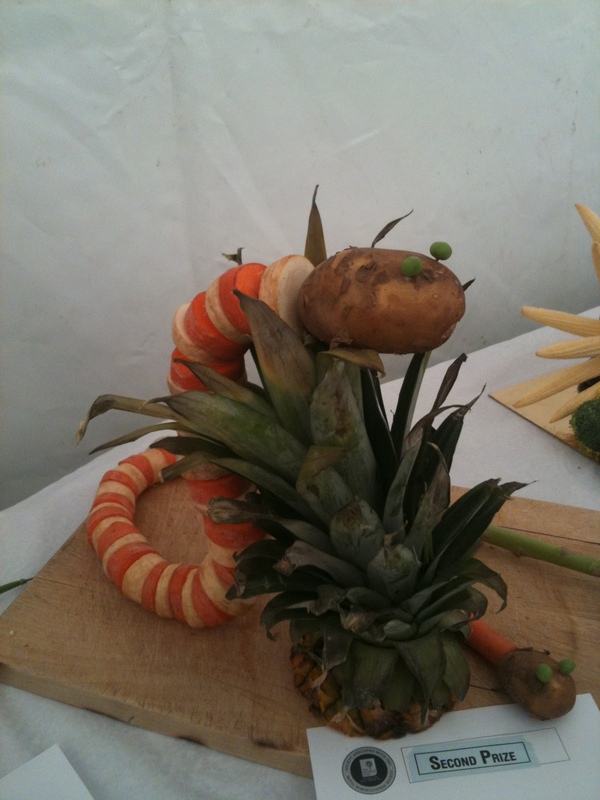 But could the reign of the vegetable sculpture be coming to a close? 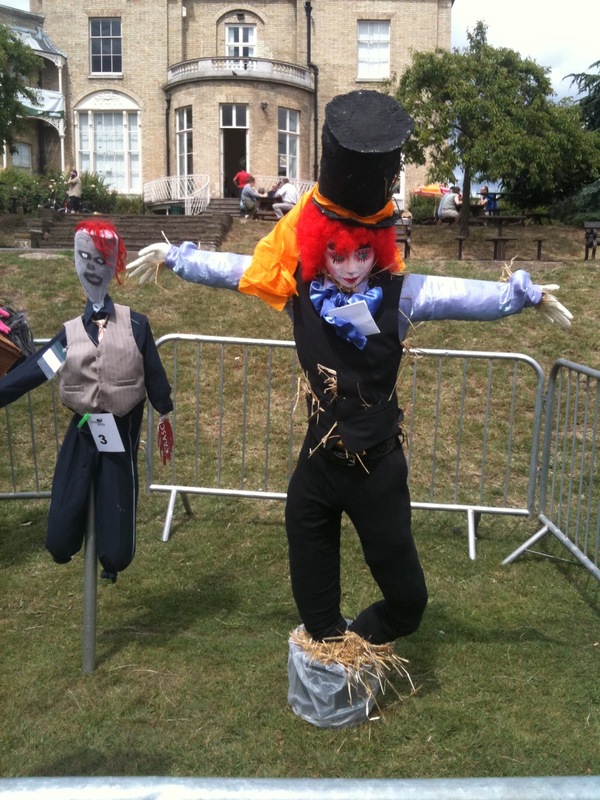 Many onlookers seemed more impressed with the celebrity scarecrows this year, and who can blame them? Check out these beauties and see what you think. 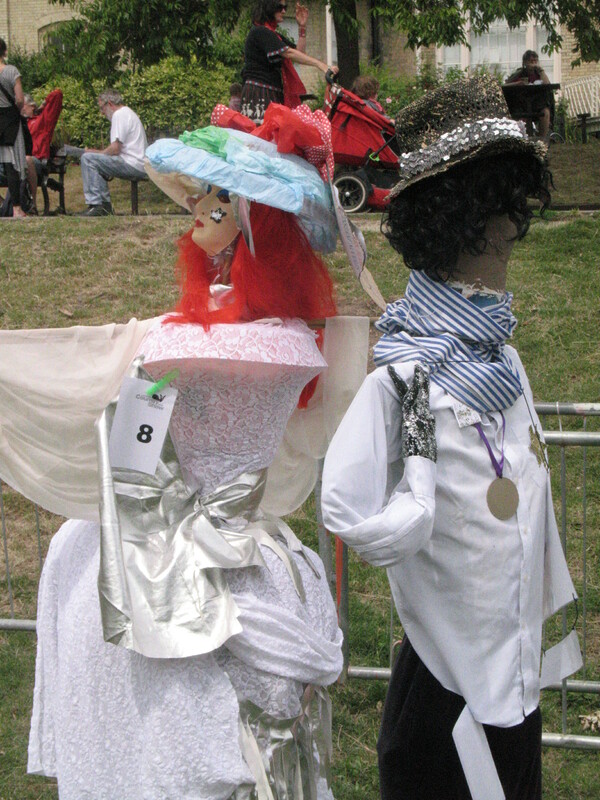 This entry was posted in Art, Exhibitions, Herne Hill and tagged Brockwell Park, chucklehead, crocodile, Herne Hill, lambeth country show, lion, owl, snake, vegetable sculptures. Bookmark the permalink. A fine day out, by the looks of it. The creator of the courgette croc was robbed, in my humble opinion.